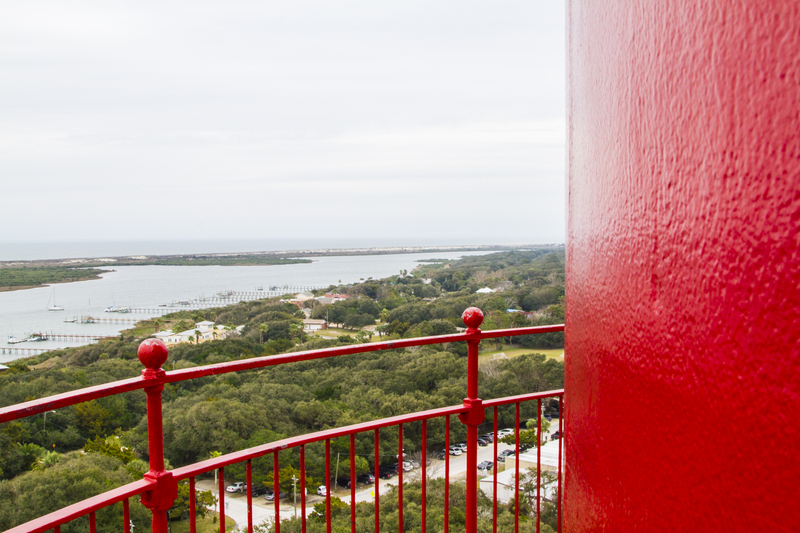 After escaping from the Alligator Farm unscathed last Thursday, Kongo headed over to the St. Augustine lighthouse. 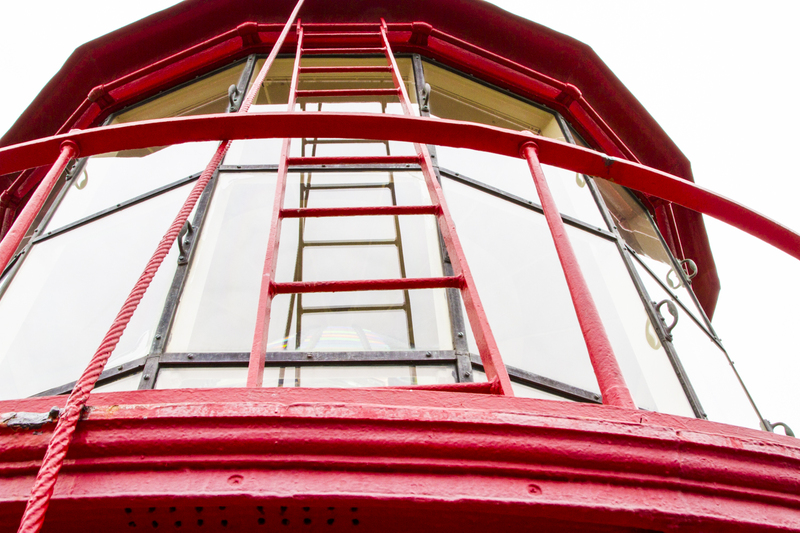 This beautiful landmark was built in 1874 and is the latest in a long line of nighttime navigation aids erected here to help mariners avoid making embarrassing landings on the coast. 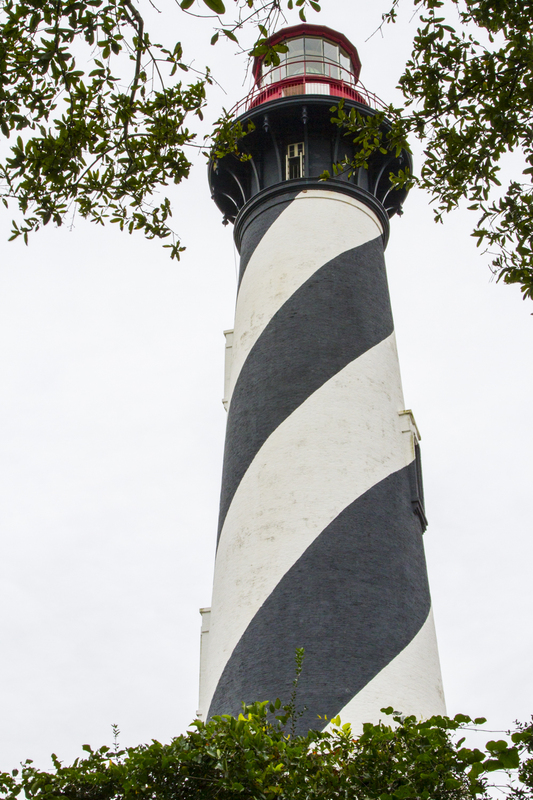 The lighthouse is still active, meaning that the light comes on at night and it’s marked on nautical charts. 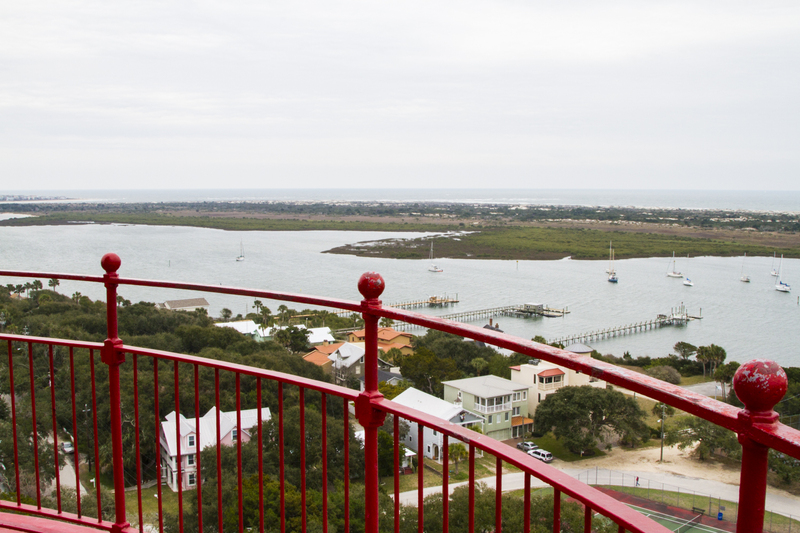 St. Augustine is the oldest continuously occupied settlement in the United States having been founded by the Spanish in 1565. Early maps made by the Spanish show navigation beacons on this site as far back as the late 16th century. Sir Francis Drake attacked the city in 1589 and may have used the Spanish beacon to help guide his forces to the city. Be careful when you put up a lighthouse. You never know who’s going to show up for dinner! 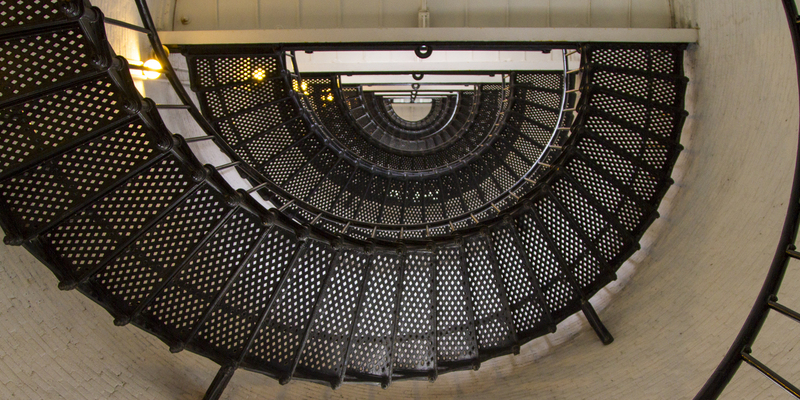 Inside the lighthouse tower you can climb the spiral staircase to the top for some great views of the area. Being an intrepid monkey, Kongo climbed all the way to the top. Along the way are windows to peer out. School children and other visitors go up and down regularly and you have to do a bit of juggling when you meet someone going in the opposite direction. 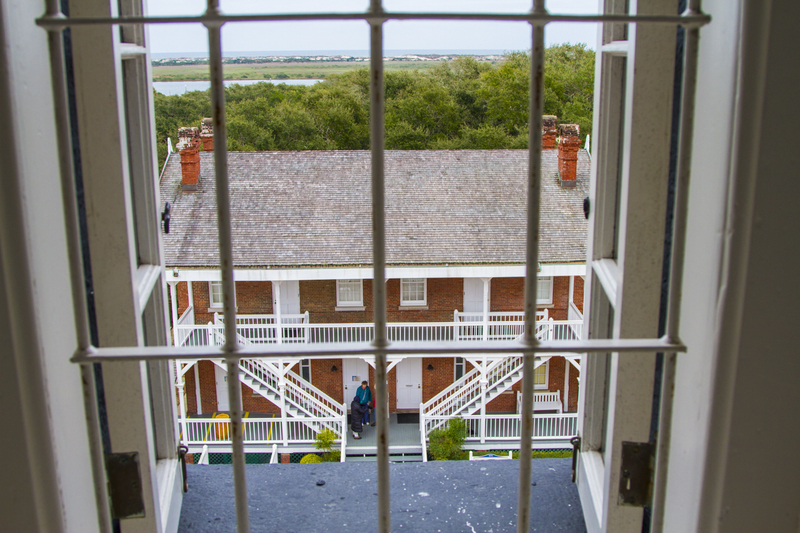 The lighthouse keepers home as seen from one of the tower windows. Once you make it all the way to the top there are fantastic views of the island. During Kongo’s visit there was a brisk breeze from the northwest that was eye-watering, to say the least. It didn’t matter which side of the top tower you stood on, the wind swirled around equally in all directions. 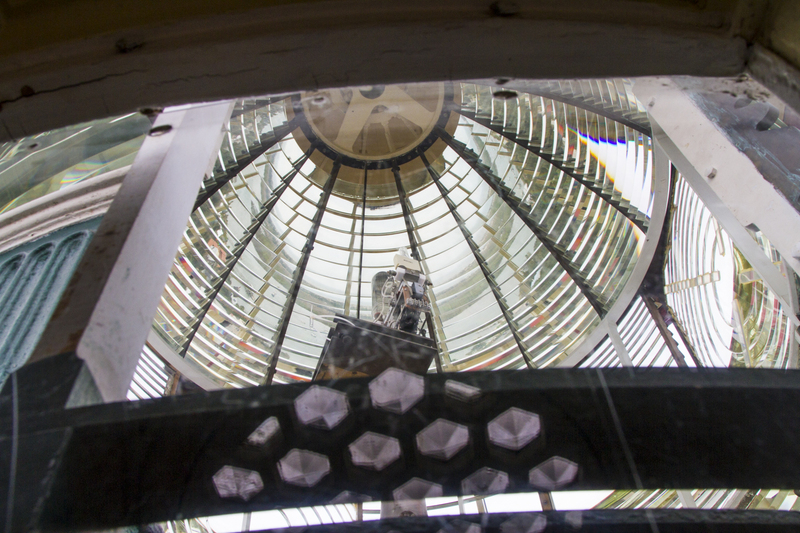 At the top you can also peer up into the fresnel lens. For you sailors mark your navigation charts with the characteristics of this light which is a 30-second flash that can be seen for 21 nautical miles at sea. 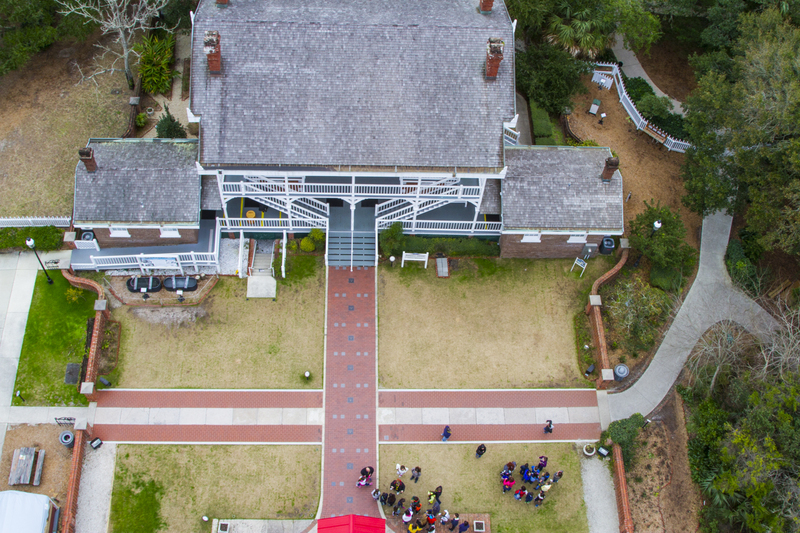 This is a view of the keepers house looking down from the lens level. 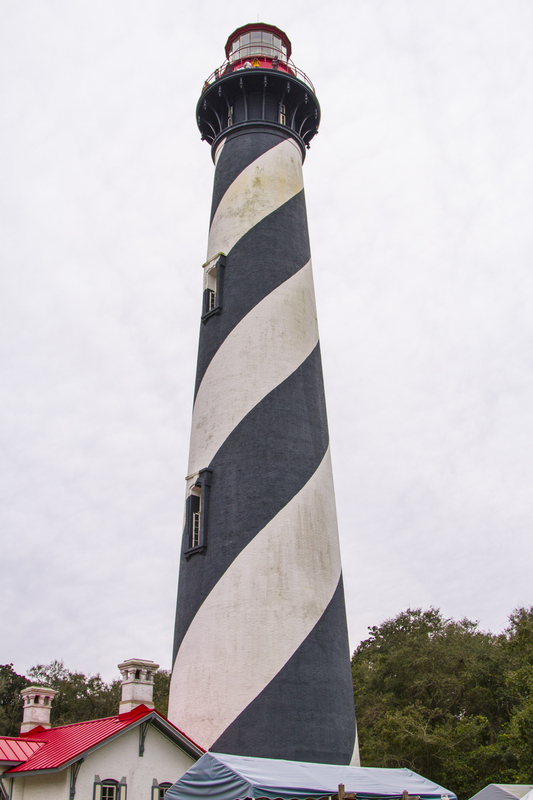 The lighthouse is 165 feet high. Some say that the lighthouse is haunted with moving shadows, weird and unexpected voices, and even images of little girl ghosts (daughters of a former keeper) on the catwalk. 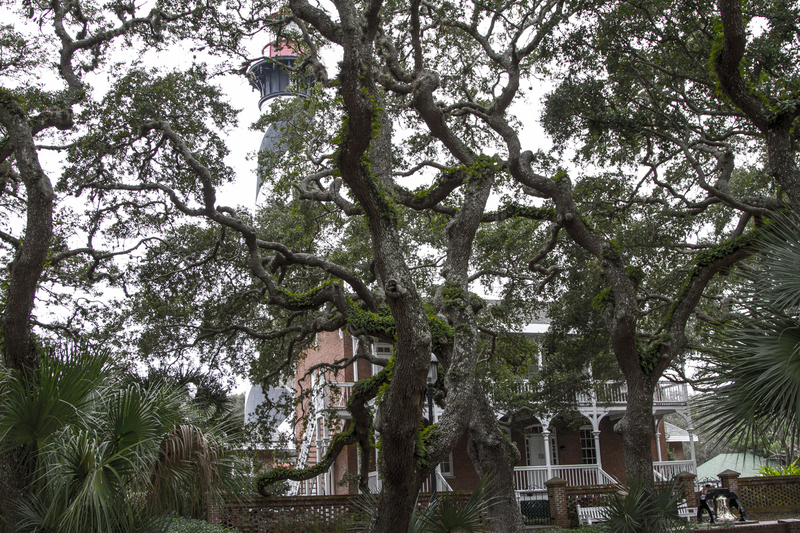 With these old Live Oak trees in front of the keeper house it’s easy to imagine some spooky things going on here under a dark moon. Lovely lighthouse – always a beautiful view! Love the stair and railing pictures. Wish the monkey had warmer weather – maybe next time.